Sapa is known as home to spectacular verdant rice terraces and mountain landscapes, unique tribe village and Hoang Lien mountain range which set a challenging backdrop for a lifetime trekking journey. Most popular for hiking throughout alluring mountainous terrain, Sapa is perfect for outdoor activities but also for exploring some of the most unique and fascinating hill tribe villages in the region. Spectacular scenes, incredibly welcoming locals, bustling markets, and small, mist-shrouded hotels are each a part of Sapa’s newfound renaissance. Below is the list of 6 things you should do when travelling to Sapa. Trekking is thought to be the first thing to do when you come to Sapa for spectacular scenery and spectacular terraced fields. Trekking to local village is quite easy to undertake day hikes through the valleys around Sapa without the assistance of a guide. However, for overnight stays in villages and longer treks into the mountains. There are also community-based tours to the nearby H’mong village of Sin Chai with an overnight in the village to learn about textiles or music and dance. Other popular communities to visit include the Giay village of Ta Van and the Black H’mong village of Matra. Sapa also has a mountain called the "Roof of the Indochina" - Fansipan. With the height of 3143m, the highest peak of the Indochina Peninsula. Although the summit of Fansipan is less than half of Mount Everest, this place is a good choice for those who are eager to conquer high peaks and test their muscular power. It would be proud when you conquer a mountain at the tail end of Himalayas. It’s definitely not an easy trek but it promises marvelous views of the Hoang Lien mountain range and pristine natural beauty. Climbers have chance to explore the diverse flora, enjoy beautiful orchids and wild flowers along the way or listen to the musical concert of insects. 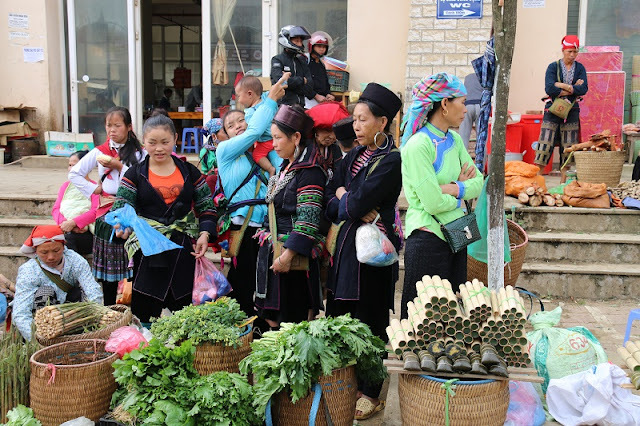 Surrounding Sapa are several interesting hill tribe villages, including those of the Red Dao and Hmong, whose people head to Sapa market to sell handicrafts and ethnic style clothing. The market opens every day of the week-Saturdays are most appealing-set up with indoor and outdoor stalls for the day; head to the set of stairs outdoors to find fresh produce, medicinal herbs, and beautiful, fresh cut flowers. If you’re hoping to stock up on vibrant ethnic fabrics, explore stalls along the second floor-stalls along the bottom right have fine displays of tribal silverwork. One of the best things to do at the market is eat breakfast or lunch at one of the many food stalls. The market is ideal for becoming familiar with the different tribal characteristics of each of the tribes and to admire the colorful tribal clothing of the local people. A trip to discover Sapa from Hanoi, in addition to enjoying the majestic landscape is also an indispensable thing is to enjoy local cuisine. Being proud of the land of mountainous dishes that you cannot find out in another region, Sapa’s gastronomy is a combination of many kind of local ingredients. Visiting Sapa, you can enjoy many grilled dishes such as grilled egg, grilled chicken, chestnut, etc. at the Sapa food court right next to Sapa central square, in front of the Sapa church. 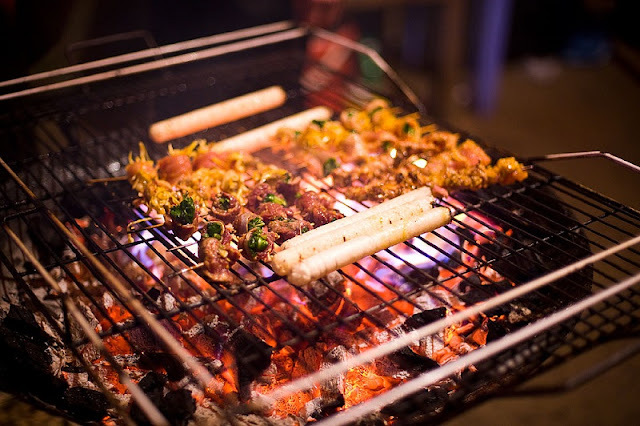 In Sapa Vietnam travel guide, high recommendation of food for visitors to Sapa is that “com lam”-rice cooked in bamboo pipes, Tao Meo liquor, salmon, boiled corn, etc. Only take what you know you’ll eat and make sure you know clearly the price first. One of the greatest and most profound ways to delve into Sapa’s interesting culture is through a homestay arranged ahead of time or upon arrival. This is the ultimate cultural experience where you’ll stay with a local family, live and eat alongside them, learn about the different ways of life in the rural, picturesque setting, and often have your own personal guide who will proudly introduce you to everyone in the vicinity! 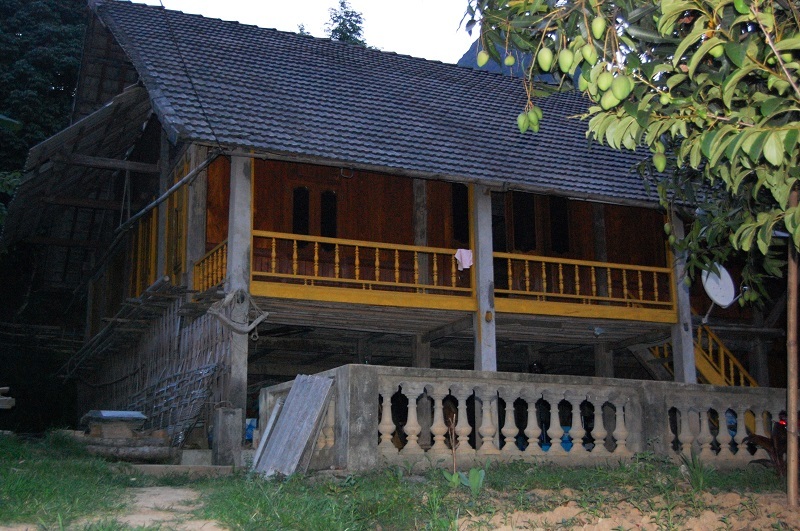 A village homestay further out of Sapa exemplifies ancient ways of life and scenery is at its best. Though enlightening and pleasant, it’s not for anyone expecting modern conditions—there are private rooms, flush toilets, and mosquito-netted beds in basic tidy homes. Homestay families must pass strict government testing and receive food training to offer comfortable, hygienic lodging. Vietnamese families are exceptionally friendly and just as curious about visitors’ lives as visitors are of theirs. 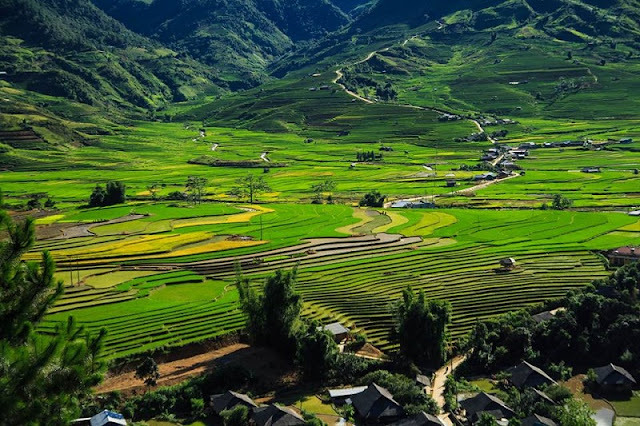 A look at Sapa and around shows abundant fascinating terrain to explore - Sapa’s most intriguing features are surrounding landscapes and the many different activities available because of them. Less than 15 kilometers from the center of town is Silver Falls, locally called Thac Bac. Enveloped by a range of mountains, beautiful, undulating landscapes area created—the falls are a product of the Lo Sui Tong mountain top, where the waterfall’s original source lies. Many say the cascading falls appear as a mighty white dragon peering down onto the valley. 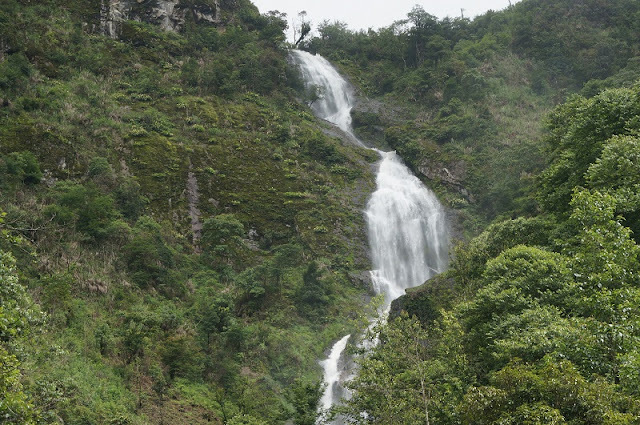 From Sapa, the falls can easily be reached in about a half-hour by car or motor bike (motor bikes are easily rented inexpensively in town and are straightforward to ride). If you make the trip, you’ll be rewarded with stunning scenes of Silver Falls and the last surviving forests of Hoang Lien National Park.